Modern home design, rather ironically, is looking back in time for inspiration. The result is that classic design features and architectural elements are suddenly new again. One of these revived features is the pantry. For centuries, the pantry was a staple in homes across the world but fall out of favor at the beginning of the 20th century. Today, they are increasingly being added or retrofit to homes. 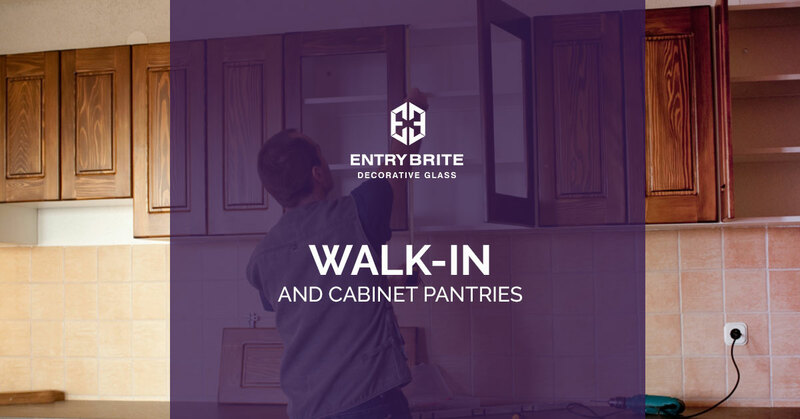 In particular, there are two kinds of pantries that are popular right now, and as a provider of custom pantry doors in Las Vegas, Entry Brite will discuss them each. As the name implies, walk-in pantries are a food storage space that is separate from the kitchen itself. Typically, there is a pantry door that closes off the pantry itself. Walk-in pantries are ideal for organizing and storing food and other kitchen utensils and even small appliances. Often, these pantries are lined with storage shelves, or have enough room to set up your own wire shelving. These pantries can be located inside of or outside of the kitchen. Generally speaking, walk-in pantries offer you significant amounts of storage space as you can store goods from floor-to-ceiling. You can organize them through a variety of means thanks to shelving or bins. You can store a variety of appliances of all sizes, from microwaves to refrigerators. However, the storage in a walk-in pantry can be more spread out, meaning you might spend extra time searching for a certain ingredient. Similarly, they may require more time to keep clean because of the added shelves. Finally, walk-in pantries take up a lot of space, which makes them ill-suited for smaller homes or kitchens that are already cramped. Other homes are adopting cabinet pantries. Essentially a tall cabinet with several pull-out shelves or racks, cabinet pantries offer excellent storage space and can be integrated directly into the kitchen itself. The smaller size of the cabinet is offset by the use of multiple shelves that can roll out. Typically, these shelves will be 12 - 24 inches deep, allowing you plenty of space to store dry goods, non-perishables, and even utensils. Cabinet pantries benefit your kitchen by offering it a centralized storage space, as opposed to walk-in pantries which may be separate from your kitchen. They are more accessible, reducing the amount of time you spend walking across the kitchen in search of ingredients and utensils. The pullout shelves allow you to see everything in the cabinet all at once. These pantries also do not take up much space at all. Usually, they are two to three feet wide, meaning they are perfect for small to medium size kitchens that still need a lot of storage space. Conversely, their storage space is more limited than walk-in cabinets. To have comparable storage space, you’d need to install several cabinet pantries in your kitchen, which may not be feasible in some cases. Cabinet pantries also take up a lot of counter space, which is at a premium in some homes. While some might appreciate the added storage, others may feel the lack of preparation spaces is not worth it. There is also an added expense associated with installing cabinet pantries. Their price tag is much higher than a wall or floor cabinet because of their height, and their pullout shelves. No matter what kind of pantry you have, you can add a brilliant new pantry door to it thanks to Entry Brite. We create beautiful works of art made from leaded stained glass and wrought iron. Add an elegant and stylish art piece to your kitchen, and contact us today to find out more about our range of exclusive pantry door designs, as well as our custom work.